3D printing isn’t only changing the way we make products, but also our ability to maintain and service equipment and machinery through the supply of 3D printed spare parts. 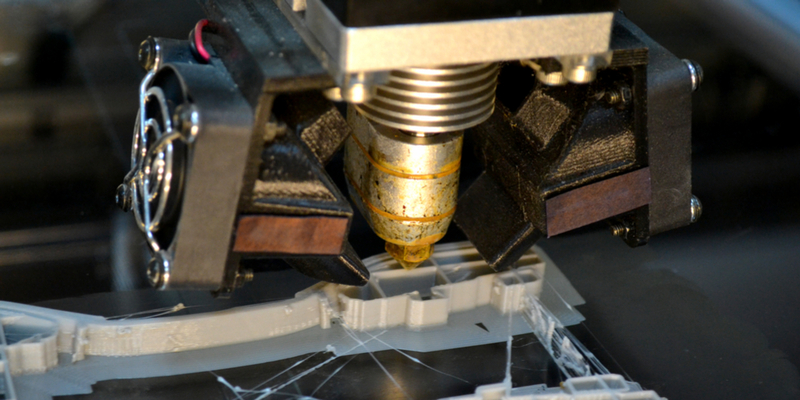 The continued reduction in the cost and the technological advancements of the printing machines and the printing material makes 3D printing a viable option for replacement spare parts, especially when the replacement part has become obsolete or where the search costs are so high as to make the economies of repairing a machine unviable. The cost-effective printing of spare parts allows owners and operators of ageing machinery to further increase its serviceability. The availability of parts no longer becomes a determining factor of the life of a machine, reducing the need for replacement and reducing the associated environmental costs. Being able to continue to repair equipment is a fundamental principle of the Ecological 6R’s and a contributing factor to achieving a circular economy. 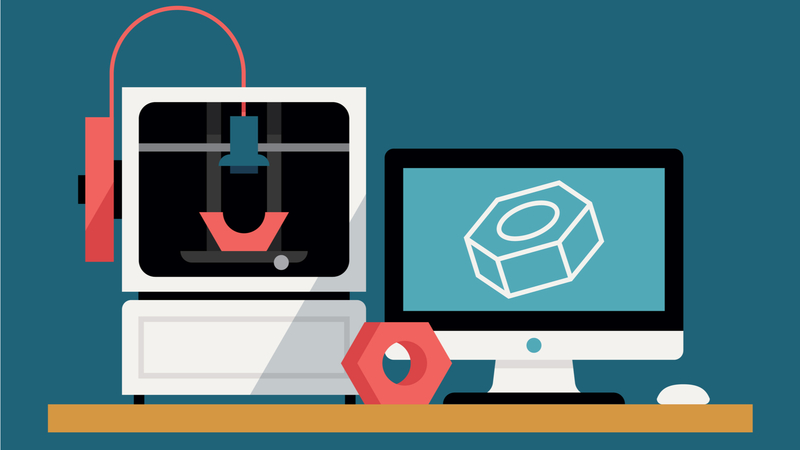 3D printing is the common term used for Additive Manufacturing. Using the power of 3D modeling programs, objects can be broken down into computerized “slices” depicting layers in a 3D model. Through a variety of methods, the printers build one layer at a time until an object is complete. It allows for reductions in production waste and to produce small, or single, production units. This makes it ideal for custom manufacturing and for the creation of a spare part or assembly. Its appeal for those looking for replacement parts is broad due to the different types of 3D printing available and the large variety of materials and inherent characteristics of each. 3D printing is not a single technology. Instead, it is a collective of different Additive Manufacturing methods. Through the selection of the right method and material a consumer can produce exactly the part they need. And often, these parts can equal or surpass OEM parts in performance. • Fused Filament Fabrication: Fused filament fabrication (FFF), also called Fused Deposition Modeling (FDM), is a form of plastic extrusion that is deposited layer by layer to form a part. FFF is one of the most common types of 3D printing available today and the type most likely to be used by home users and makers. ABS (acrylonitrile butadiene styrene) PLA (Polylactic acid) and composite filaments are all materials used in FFF. The exact choice depends on the finish and characteristics required of the finished part. • Stereolithography (SLA) and Digital Light Processing (DLP): SLA and DLP are both in the family of 3D processes called vat polymerization. In each process a laser is projected into a vat of photosensitive resin which solidifies each layer. The laser in SLA hardens each layer as it moves along the pattern, in DLP, the laser projects and hardens the entire layer at once. The processes are similar but do vary in speed and resolution with SLA creating prints of higher resolution than DLP. SLA can best be used for printing many small parts at once as well as large prints whereas DLP is better for printing large parts that do not require as much detail. Resins can be used for parts requiring higher heat resistant characteristics and a wide variety of flexibility. SLA also provides a more “finished” look with much higher resolution than FFF. • Selective Laser Sintering (SLS): SLS is in the family of powder bed fusion where a laser is directed to a bed of powder and material is fused layer by layer. After each fusion, a thin layer of powder is added, and the process repeats for the next “slice” of the pattern until the pattern is complete. SLS can be used for small production runs, larger functional parts and prototypes. Its resolution is not as detailed as FFF and is far less detailed than SLA. Layer adhesion is superior but there is some shrinkage depending on material used. The most common material used in SLS is Polyamide 12 (Nylon 12). This material can also be mixed with carbon, glass fibers or with aluminum to produce spare parts with improved mechanical and thermal behavior. • Material Jetting and Drop on Demand: Material Jetting (MJ) and Drop on Demand (DOD) both use a photopolymer that is dispensed through ink jets onto a surface. MJ continually dispenses the material, with DOD the material is dropped as needed onto the surface. In both types as each layer is produced, an ultraviolet light is passed over the layer to harden the material. Polymers can range from rigid to flexible and can also offer different temperature tolerances and come in a wide variety of colors and allow for the build of complex geometries. They are used for high resolution color models, dentistry applications and low run injection molds. • Sand Binder Jetting and Metal Binder Jetting: Sand Binder Jetting (SBS) and Metal Binder Jetting (MBJ) are both types of binder jetting and use a glue-like binder applied to a material bed holding either sand or metal. The glue holds the layers together and parts do not require support material. The produced parts are not as mechanically strong as parts produced by other methods but have advantages that can be of value in the production of spare parts. They can be used to create casting patterns for automotive or engine parts, they can be produced in full color and used for form and fit testing. The process is quick and by layering parts within the material bed many parts can be produced at once. For Sand Binder, materials include full color sandstone and silica sand. For Metal Binder materials include stainless steel, stainless steel with bronze, Inconel alloy and tungsten carbide. • Selective Laser Melting, Direct Metal Laser Sintering and Electron Beam Melting: These are all forms of metal printing and are the metal family of powder bed fusion. Direct Metal Laser Sintering (DMLS) uses metal powder that is melted just enough to fuse the material together. Selective Laser Melting (SLM) focusses a laser onto a layer of metal, completely melting the metal to form the layer and not merely fused. And in Electron Beam Melting (EBM), metal powder is subjected to an electron beam and again completely melted to form the layer. The choice of method is determined by the type of part being produced and its required strength and heat characteristics. 3D printed metal parts are used in the automotive, aeronautics, and medical industries and could be used in auto restorations, appliances, farming etc. Materials for metal printing range from aluminum in automotive and aeronautical applications, stainless steel for food grade parts, and even titanium. With so many 3D printing options available, the ability to source and produce spare parts has never been so good, putting the control of the repair and service of a machine back in the hands of the consumer. BuyAnyPart works with customers and 3D printing companies to bring efficiency and certainty in the production of replacement spare parts. BuyAnyPart reduces the time it takes to have replacement parts printed and removes the frustration in identifying, searching and deciding on the right 3D printing method and material. If you require a hard, or impossible, to find part and are frustrated in your search, we can help. By contacting BuyAnyPart we can provide advice on the feasibility of having your part 3D printed. It’s a simple process and much faster than the alternatives. And that’s it. You’ve gone from frustration to freedom. Freedom to get on with life and freedom to know that when you need a part, your options are better than they’ve ever been.